Reality brought me back to earth when I was posted to Hinkley for army stores training. Remember the special tests and my qualifications for the Royal Signals? Well, the Royal Army Ordnance Corps needed storemen at that time and, since I was a junior storeman on enlisting, choice was non-existent. All the other lads had similar stores or warehouse experience. The course lasted about three weeks. 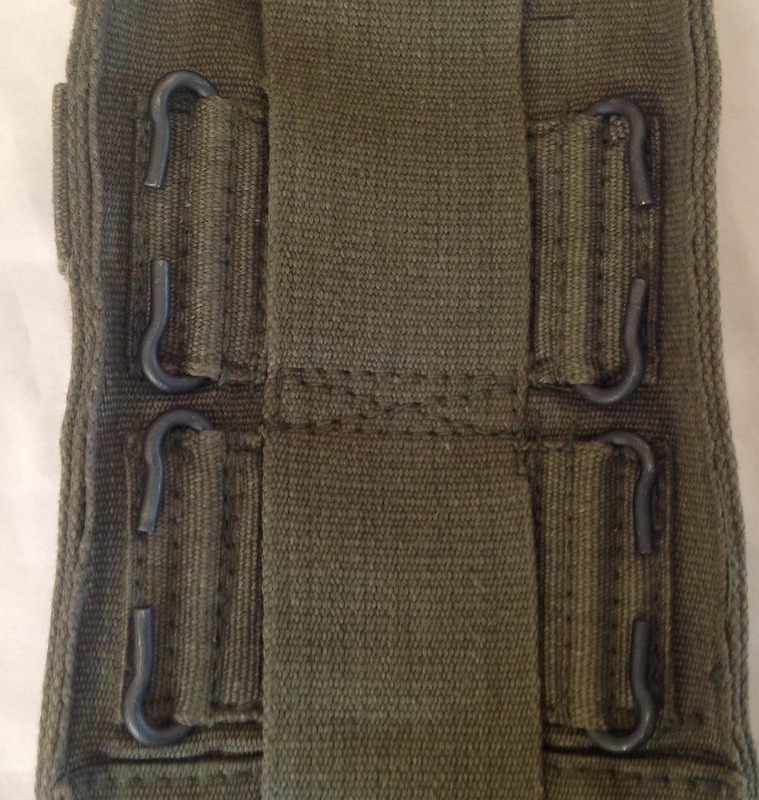 Many items in stores are never issued or used, and once a piece of kit is marked as obsolete, these bundles are sold on the secondary market. Most are opened by dealers and sold as individual items, but occasionally you come across complete stores bundles such as these ones that have never been opened and issued. As I have a set of 44 pattern brace attachments already I will be leaving these two packs alone as they tell their own little story as they are. 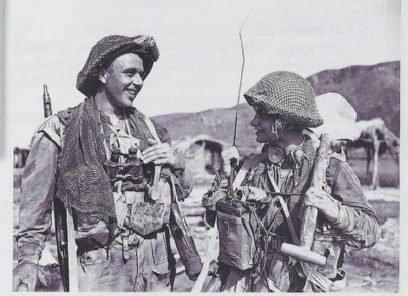 This entry was posted in 44-Webbing, British Army, Webbing, WW2 on June 12, 2018 by hatchfive. 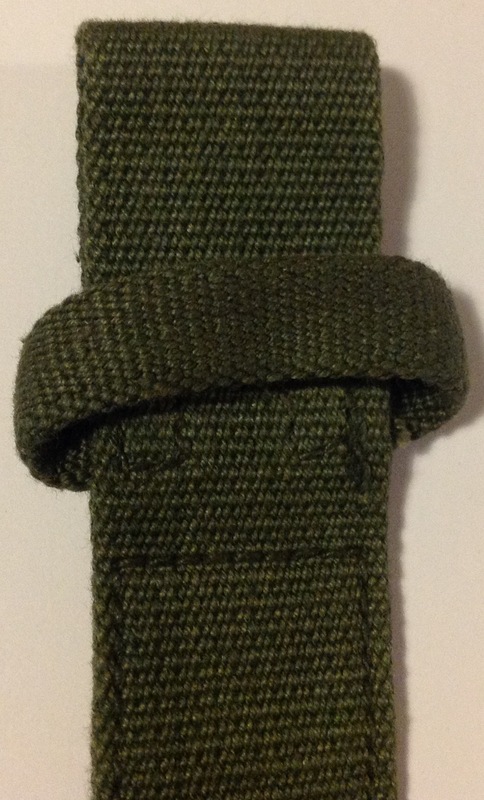 Bayonet Frog- This is provided with a woven hole in the upper scabbard loop to enable the No. 4, No. 5, or No. 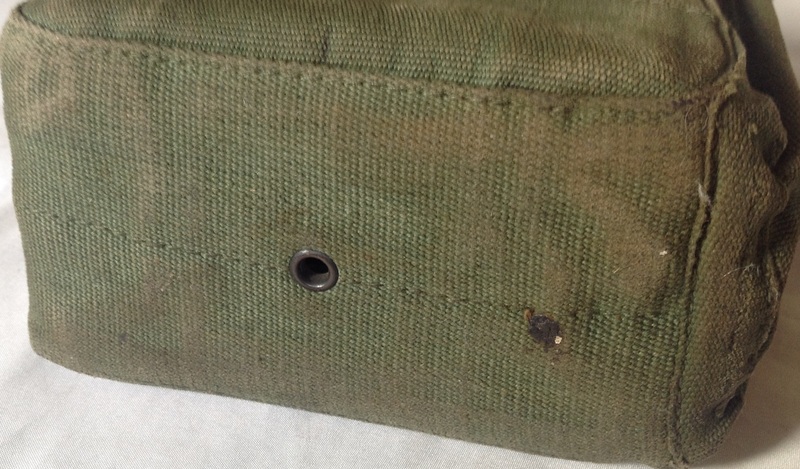 7 bayonet to be carried by inserting the stud through the hole. The No. 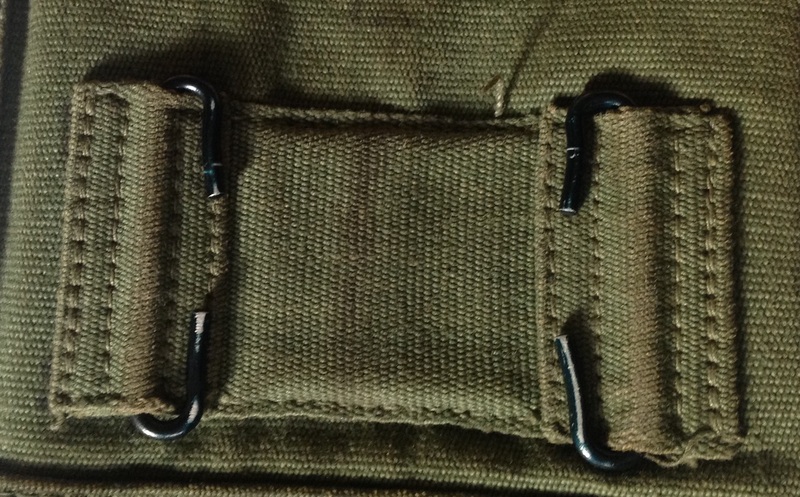 1 bayonet is held in the frog in the usual way by the stud of the scabbard being inserted between the web loops. A narrow web loop is provided to slip over the hilt of the No. 1 or the No. 5 bayonet to prevent swinging. 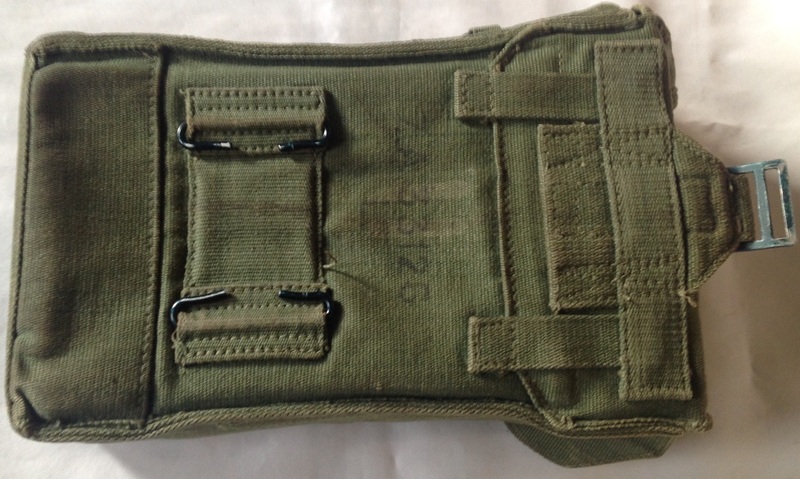 This frog is clearly unissued, as can be seen by the rear which has no wear at all: The markings include the frog’s store code ‘CN2006’ and the manufacturer and date: Despite the integral bayonet loops on the 44 pattern basic pouch, these separate frogs must have been useful as manufacture continued into the mid-1960s, with dates of 1966 observed on some examples. Ironically however most examples found today seem to be in mint condition and never issued. This entry was posted in 44-Webbing, British Army, Jungle, Post WW2, Webbing on October 20, 2016 by hatchfive. 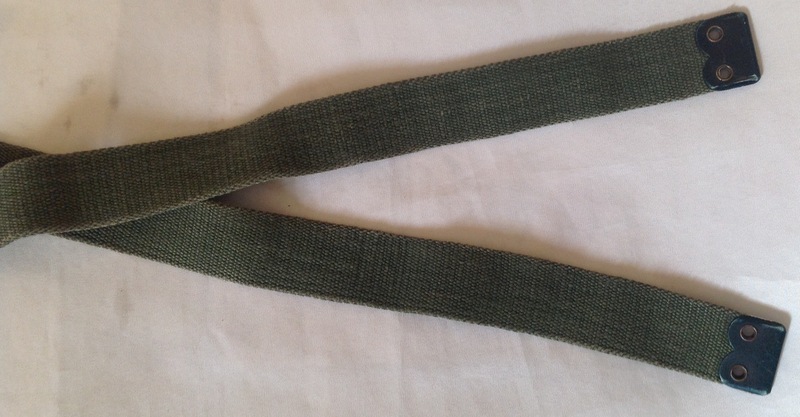 Waistbelt- This is issued in two sizes, large and normal, having a maximum adjustment of 48 inches and 40 inches respectively. The normal size should fit 95 per cent. Of troops. 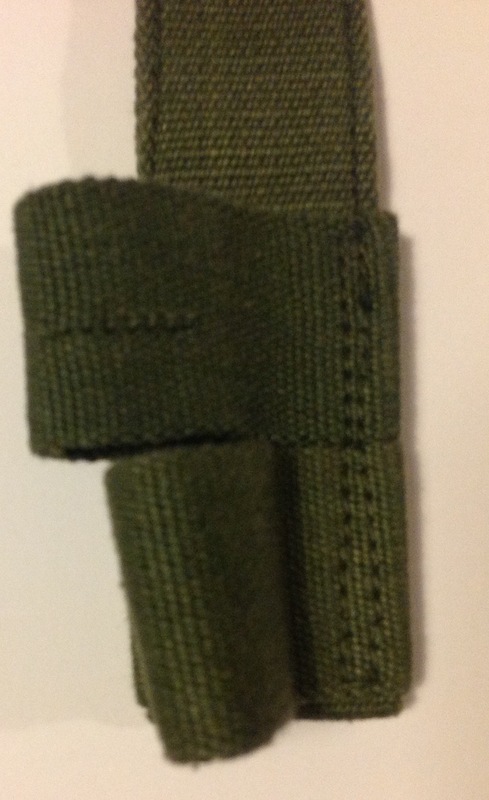 It is made in three parts (two side pieces and an adjustment strap) and the webbing is two inches wide. 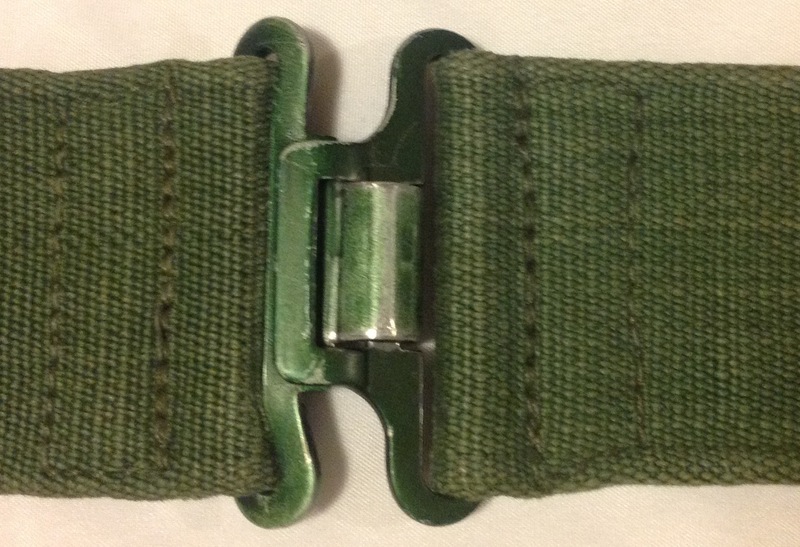 A closing buckle of the “hook and loop” type is fitted to the front ends of the side pieces and a double hook on each rear end; a 1 inch link with gap is fitted diagonally to each side piece for attachment of the braces; loops are provided for the spare ends of the adjustment strap. 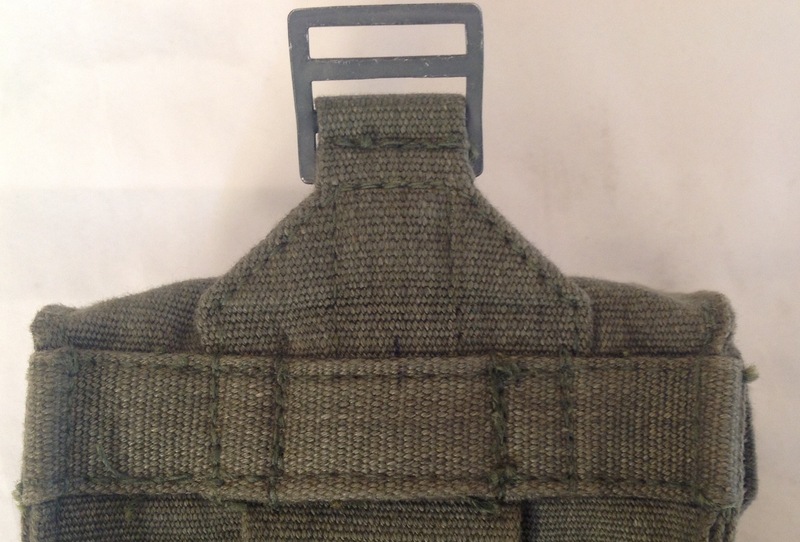 Two 1-inch 3-bar buckles are fitted to the back piece for attachment of the inner braces. 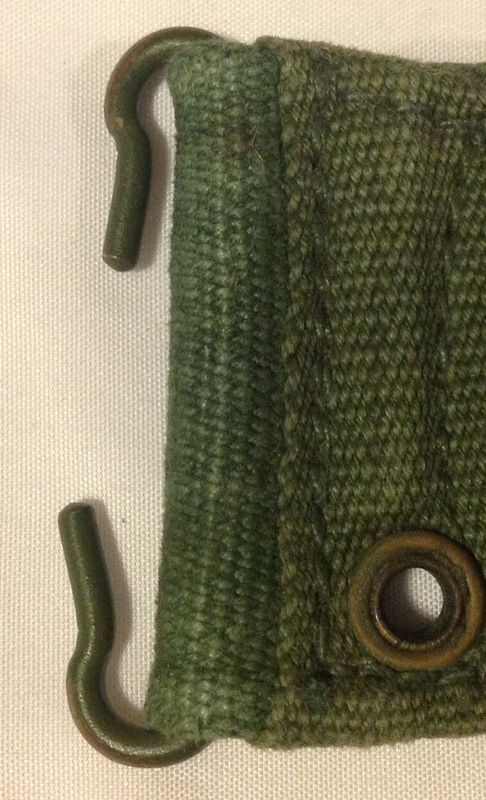 Grommets (i.e. 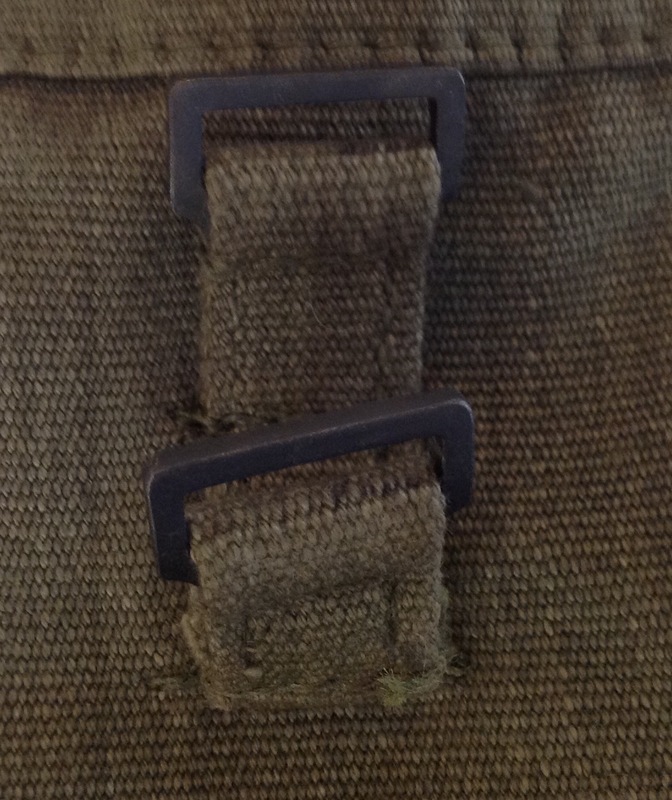 eyelets with spur tooth washers) are fitted in the lower edge- four in each side piece and six centrally spaced in the adjustment strap; a 1-inch strap with snap fastener is fitted to the right hand side piece to secure the rifle when slung on the shoulder. 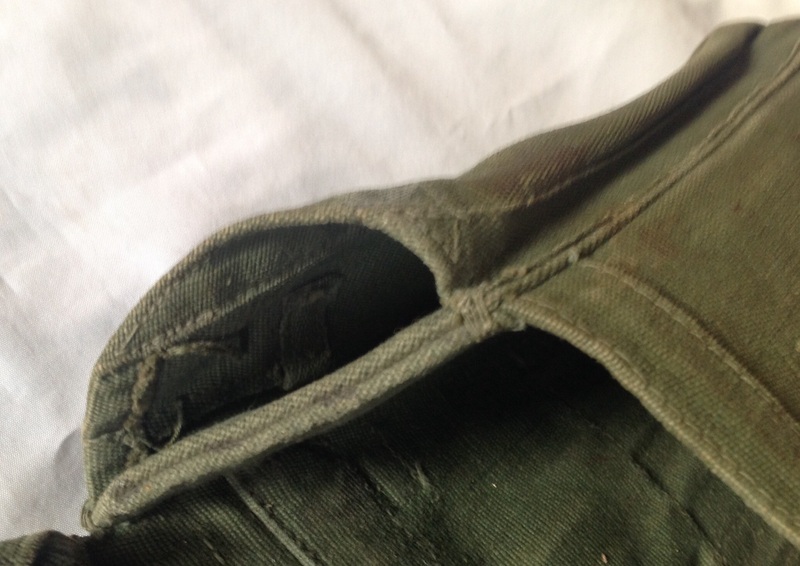 The back part of the belt was supposed to be removable so the set could be worn without it to ease pressure on jungle sores if needed- whether this was ever done is hard to say. 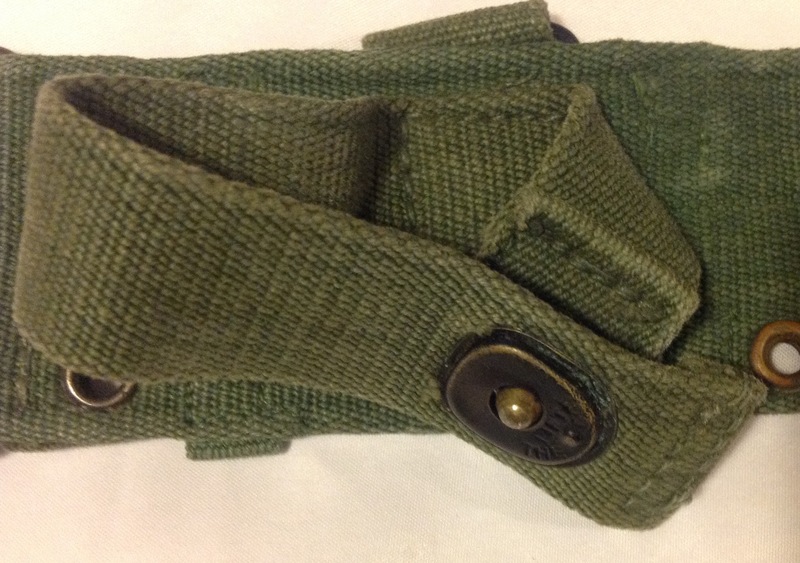 The belt was a complicated piece of webbing when compared with the 1937 pattern belt, however it was a well thought out piece of kit apart from the rifle strap that seems never to have been used, and remained in use for many years. 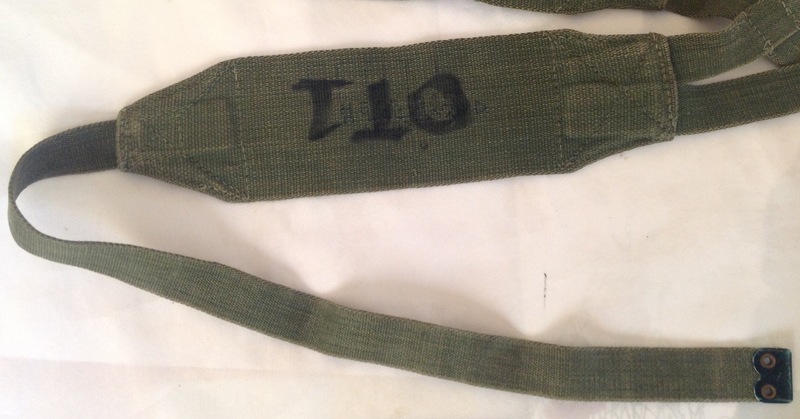 The Iraqi army copied it almost exactly in tan webbing for one of their equipment sets. This entry was posted in 44-Webbing, British Army, Jungle, Post WW2 on March 26, 2016 by hatchfive. 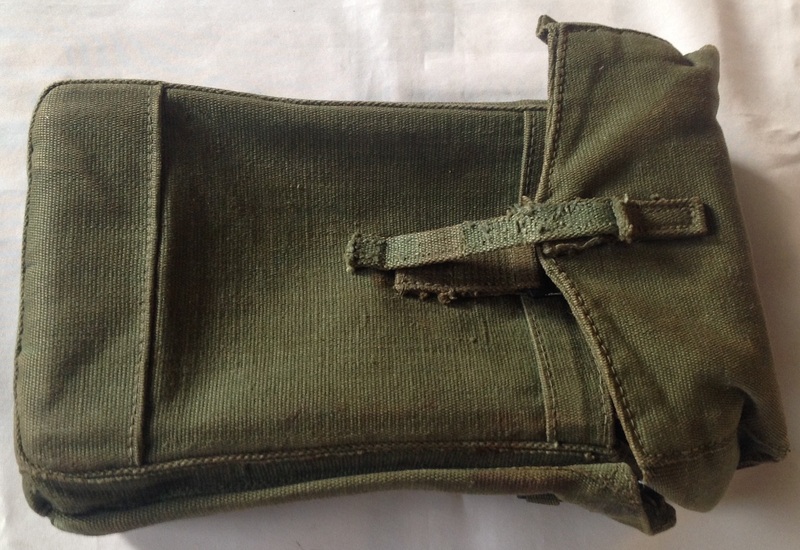 Basic Pouch, Left- The internal dimensions are approximately 4 ½ inches by 3 inches by 9 ½ inches deep. 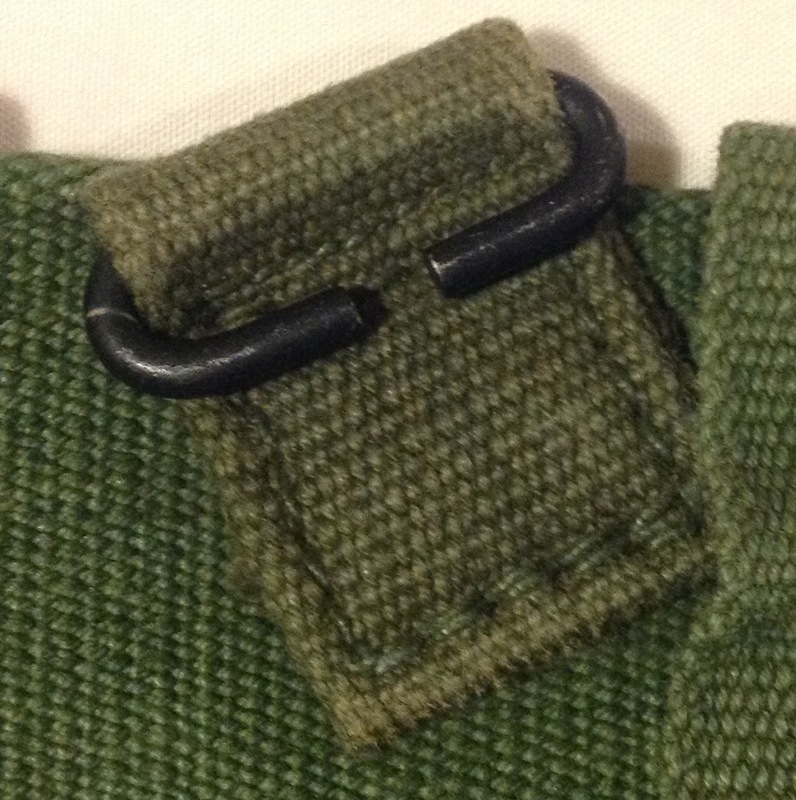 On the back, two 2-inch wire hooks are provided for connecting to the waistbelt, a tapered chape with 1-inch 4-bar buckle for the braces and two vertical webbing loops for the haversack straps; the hooded flap is fitted with the staple portion of a quick release fastener which can be fitted to either of the two links on the front of the pouch. 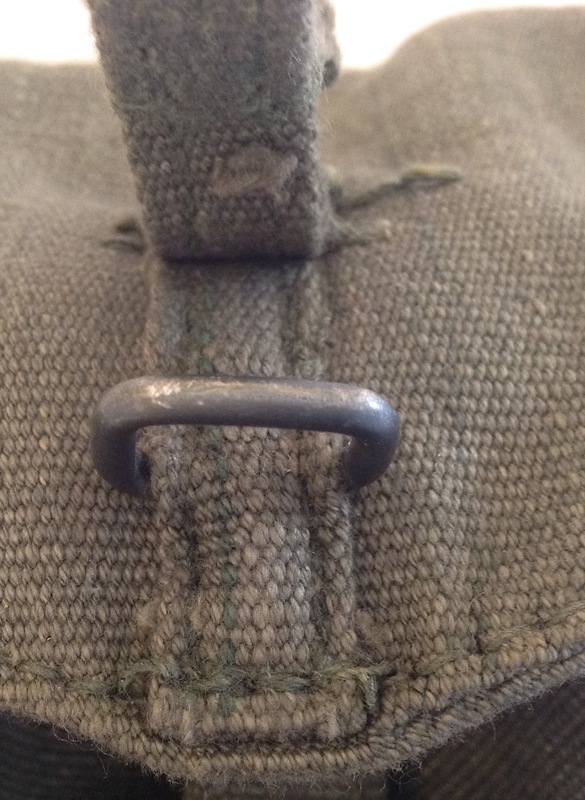 The normal method of closure is to use the bottom link; the alternative method is for use when longer items are carried in the pouch. 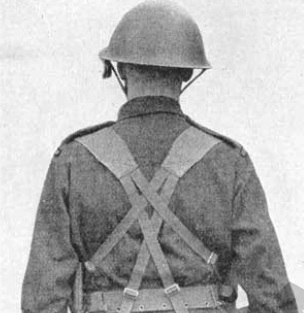 The left-hand side has loops as an alternative method of carrying the No. 4, 5 and 7 bayonet. 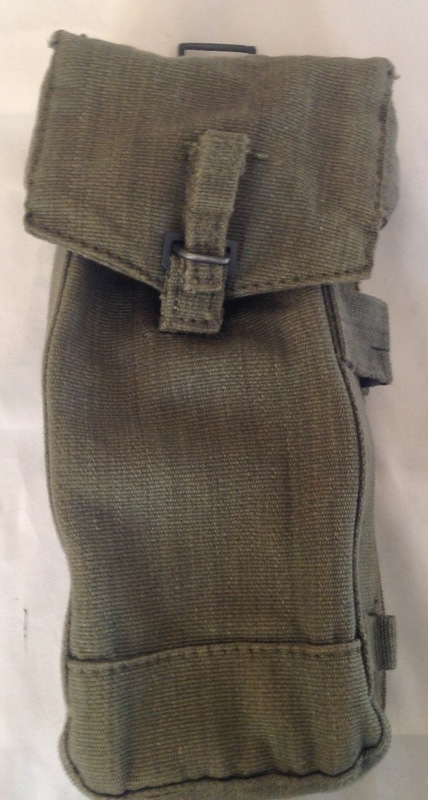 Basic pouch, Right- Exactly the same as the left pouch except that bayonet loops are not fitted on the side. 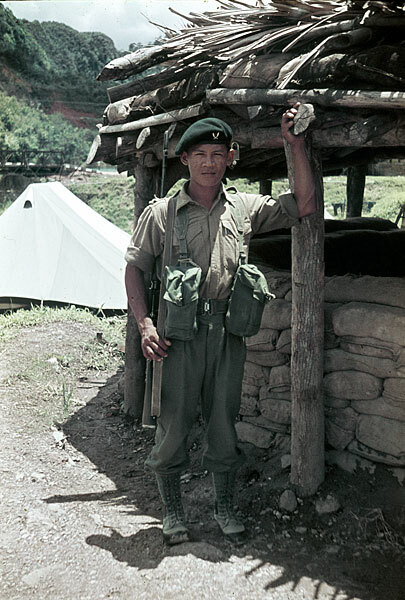 This entry was posted in 44-Webbing, British Army, Jungle, Post WW2 on March 9, 2016 by hatchfive. 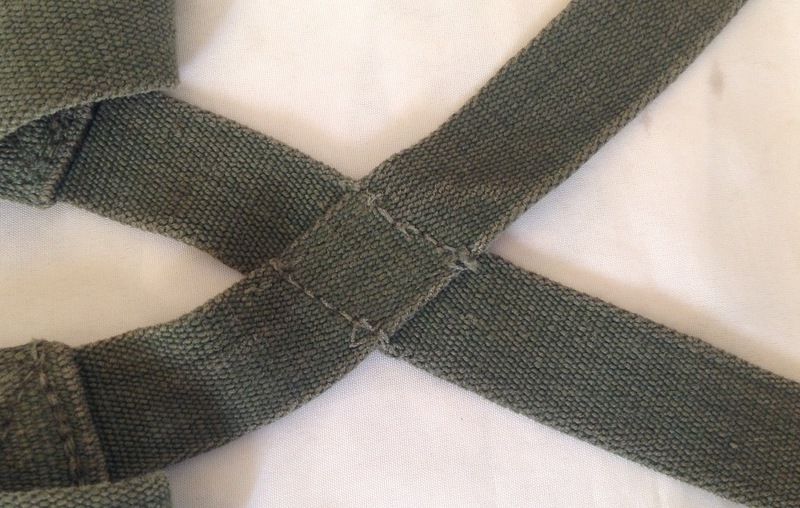 Braces (pair)- These have shoulder sections made of webbing 3-inches wide, with 1-inch wide front straps to connect to the basic pouches; two 1-inch straps are sewn to the rear ends of the shoulder sections and stitched where they cross; when fitted these are attached to the diagonals on the side pieces of the belt and are adjustable by the 3-bar buckles. 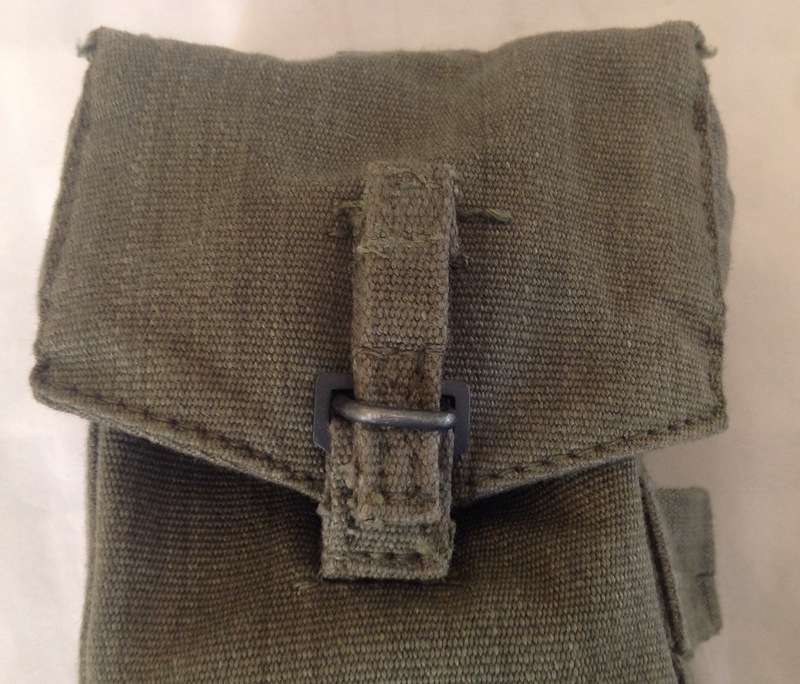 The other two 1-inch straps which are not sewn where they cross are for attachment to the buckles on the back of the waistbelt. 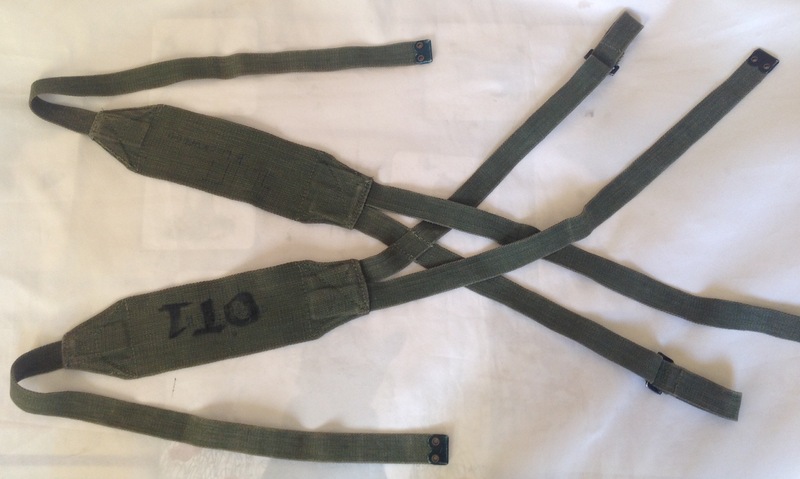 The illustration from the fitting instructions shows how they worked in practice: These were a major improvement over anything that had come before and illustrate a move more towards the ‘yoke’ style of straps used on 58 pattern and PLCE equipment in the post war period. This entry was posted in 44-Webbing, British Army, Jungle, WW2 on February 13, 2016 by hatchfive. Back in January we looked at the contents of my 44 pattern small pack here. As I pointed out at the time, this was a work in progress; I have now decided an update is in order as over the last year I have added a lot more items to this set, and it is looking much more complete. Please click on the links to get more information about an individual item. 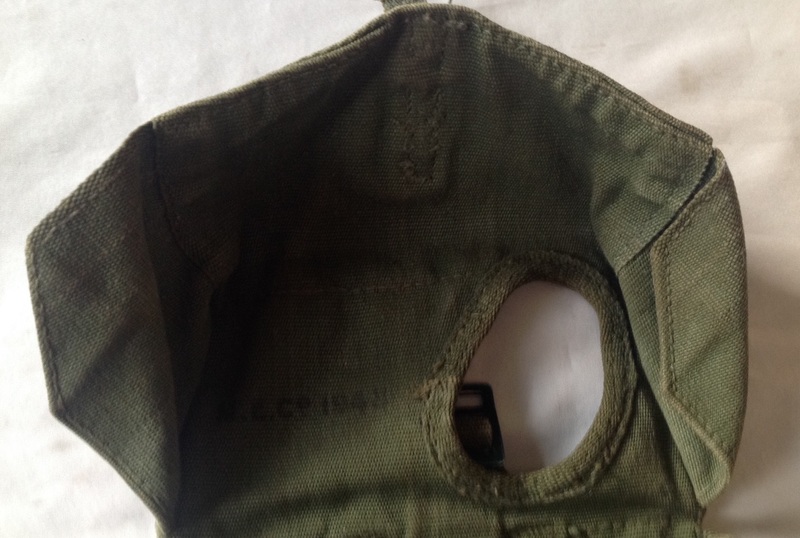 This entry was posted in 44-Webbing, British Army, equipment, Jungle, Post WW2 on December 13, 2015 by hatchfive.